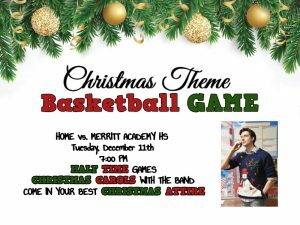 Come support our JV and Varsity boys basketball teams as they compete against Merritt Academy. Come dressed in your favorite Christmas attire. The student fan section and Parkway’s band will lead the charge to support our Eagles.